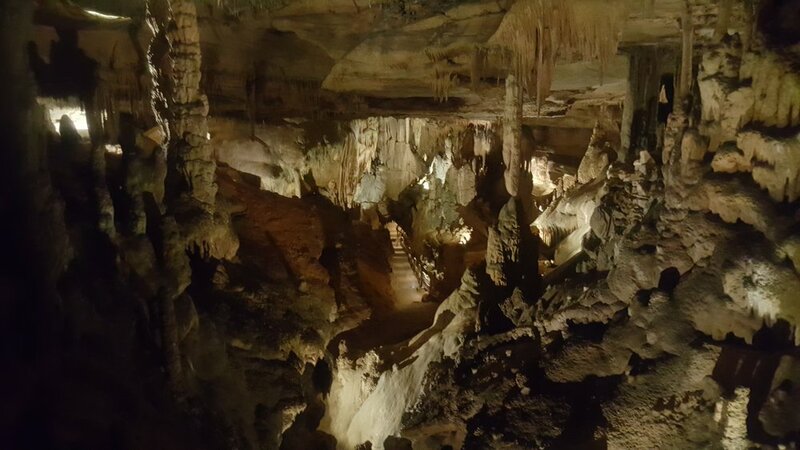 The Crystal Palace Tour is a 45-55 minute guided walking tour through the first 1/4 mile of the cave. 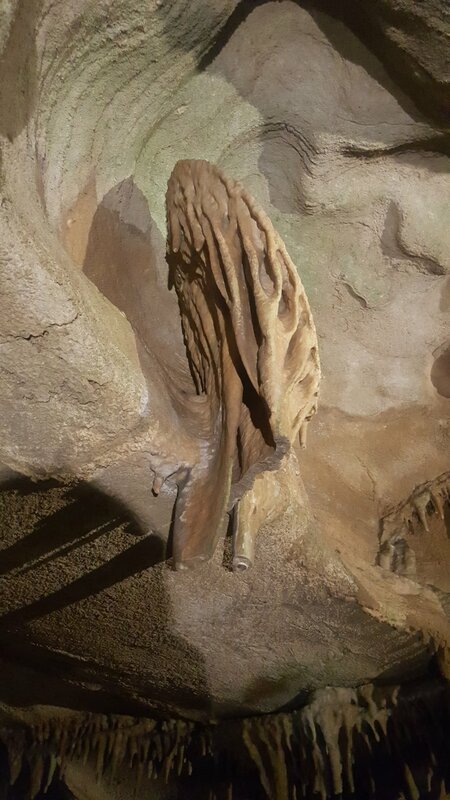 This section of the cave has been modified to include lights, pathways, steps, and handrails. 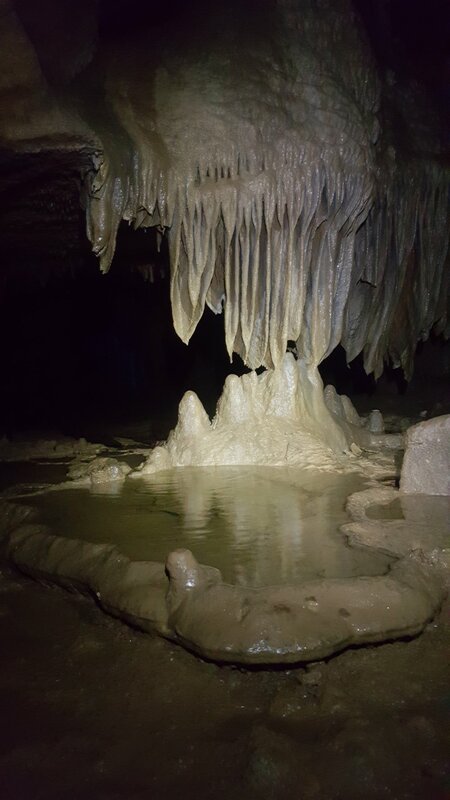 Education is the focus of our tours and your guide will explain how caves form, provide a history of the cave, and point out a wide variety of formations such as stalactites, stalagmites, soda straws, and much more, including rare shield and helictite formations! 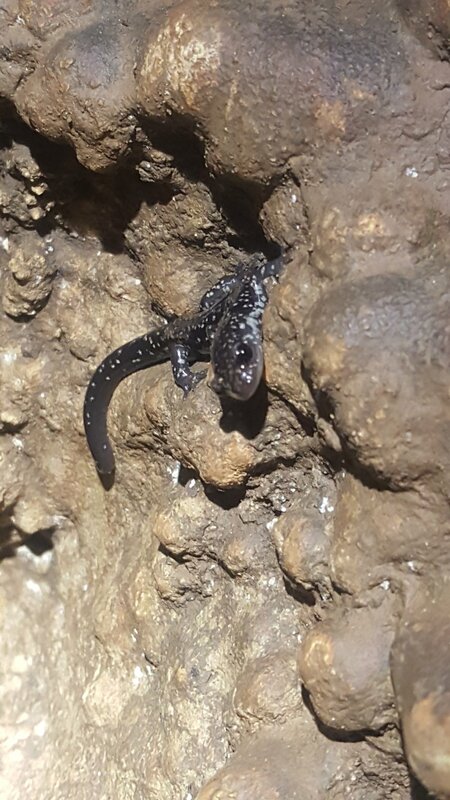 Guests also have a chance to view cave wildlife including bats and salamanders, as well as ancient fossils. Photography is welcomed, however you must keep up with the group. No reservations required! Tickets are available for purchase at the Caverns Gift Shop, located in the gray building across from the cave parking lot. Please note: the cave is not wheelchair or stroller accessible and features approximately 130 steps. Reservations required only for large groups (16+); please call (423) 821-9403 ext. 1 for info.